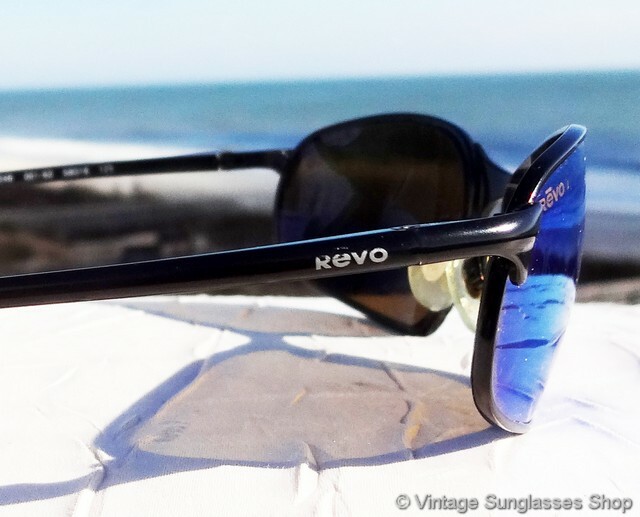 1 Vintage Revo 3046 001 sunglasses are a sleek, modern wrap design that's equally at home for active sports or at the cocktail reception, with the matte black frame a perfect complement for the Revo blue mirror H20 lenses. 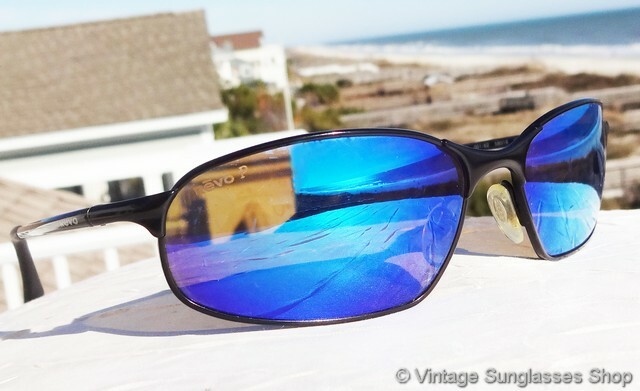 If you like Oakley sunglasses but find the style a little too extreme, you should like Revo 3046 sunglasses. 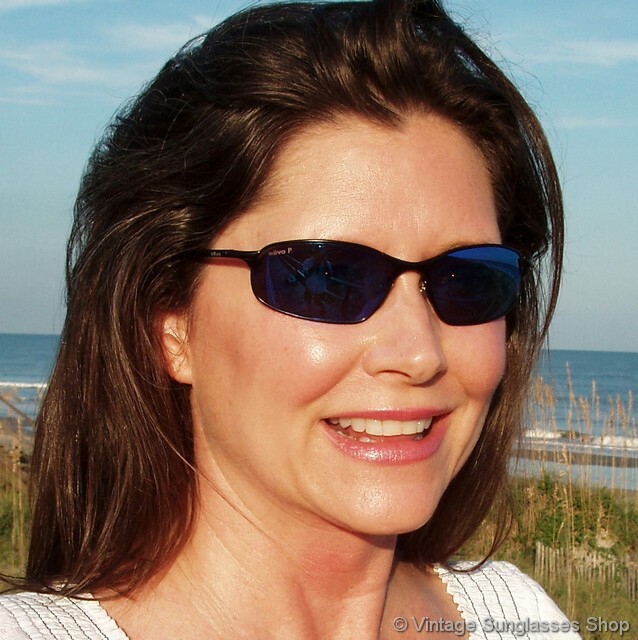 The sleek, streamlined design exudes high performance, and of course the Revo P H20 lens technology provides the best polarized infrared and UV protection for your eyes. 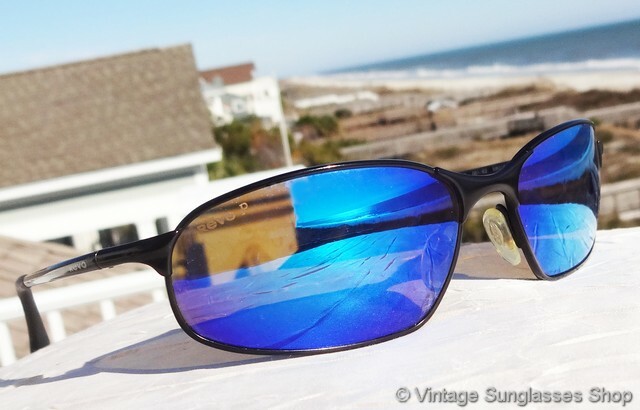 The black metal frame and integrated black ear pads make them look particularly striking when combined with the highly reflective blue mirror lenses, one of which is laser etched Revo P and the other marked H20. 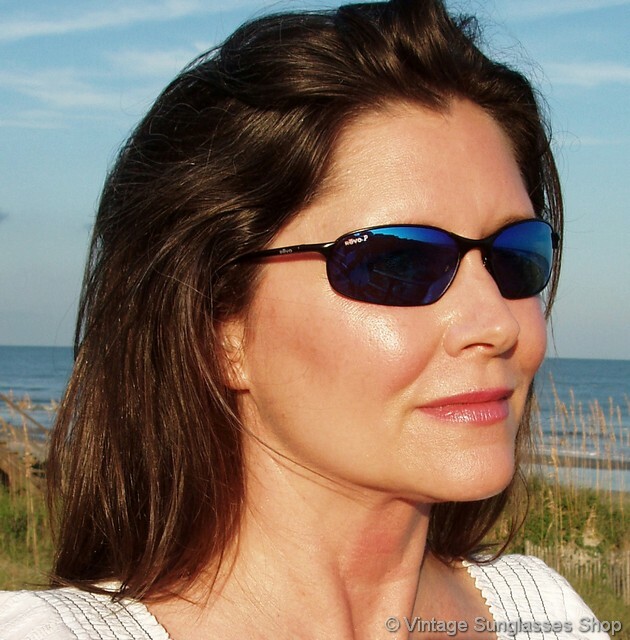 The unisex Revo 3046 frame measures approximately 5.25" temple to temple while the blue mirror H20 polarized lenses measure approximately 2.25" x 1.25" at the widest points. 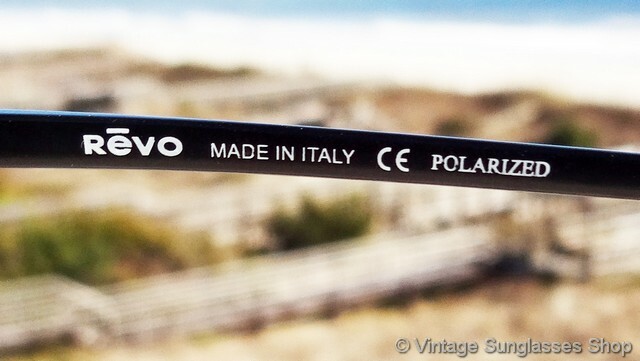 You'll find the Revo logo is impressed on the ear stems near each spring loaded hinge point, and the inside of one stem is marked Revo Made in Italy CE Polarized and the inside of the other stem marked 3046 001/62 58  16 125. 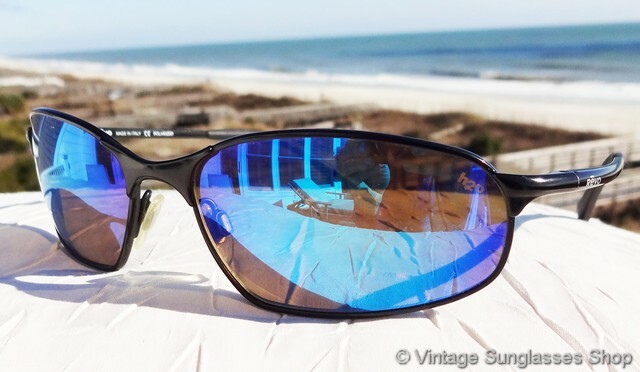 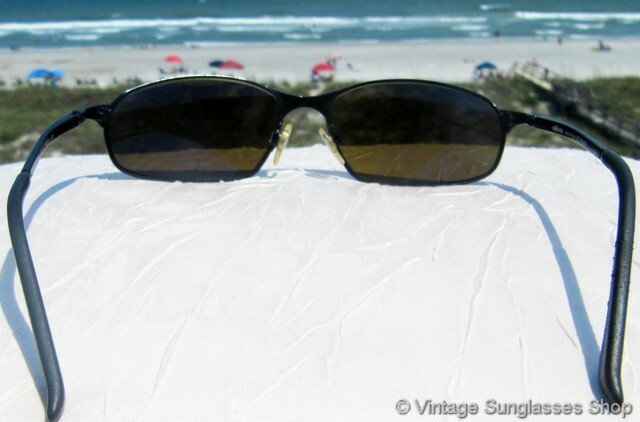 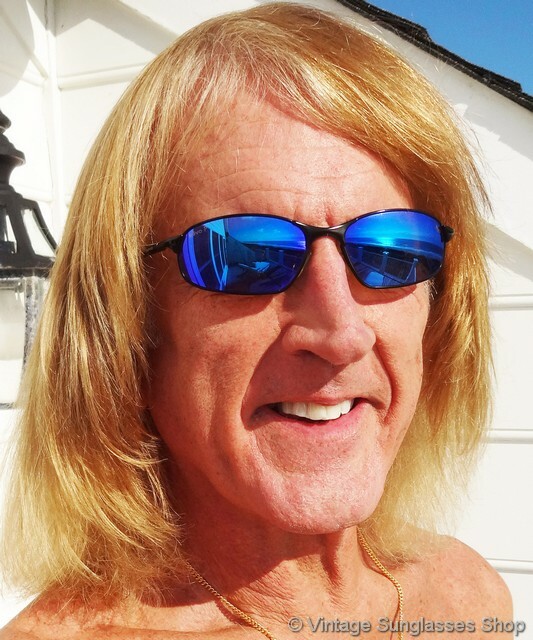 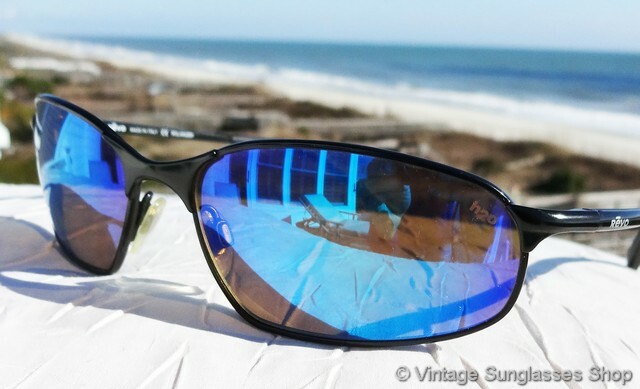 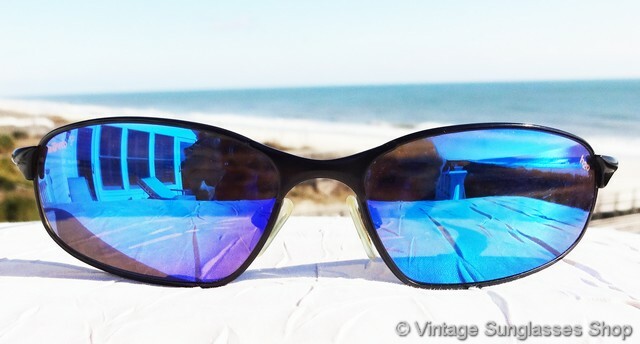 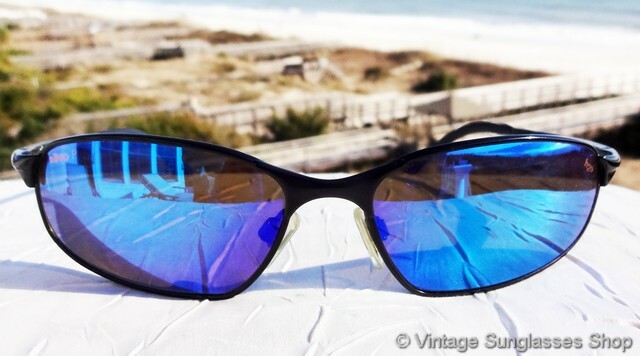 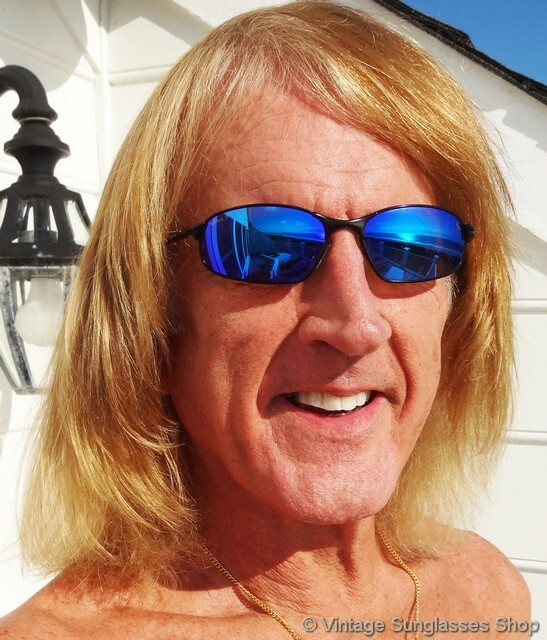 2 Step up another level beyond our already unequaled vintage condition standards with new old stock Revo 3046 001 blue mirror h20 sunglasses in mint, unworn condition.